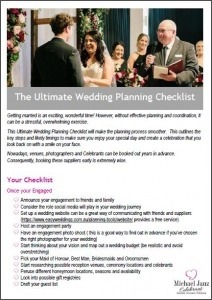 Ideally, book a Celebrant who will guide you through this process in a simple, manageable, stress-free way. This form is also known as the NOIM. Your Celebrant can provide and help you complete your NOIM. 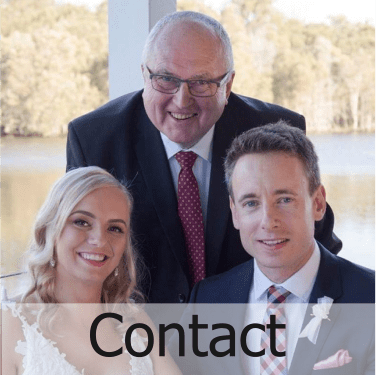 This document needs to be filled out and your signatures witnessed by an “authorised person” and given to the Celebrant at least a month before and up to 18 months prior to your wedding. A Celebrant is an authorised person but if you cannot get a meeting with your celebrant there are others on the list such as JP, Doctor, Police Officer. You need to show your ID to your Celebrant to verify your proof of birth and identity. Originals need to be shown. A Passport satisfies this requirement. Alternatively, a Birth Certificate and Driver’s License or Proof of Age Card are also satisfactory. If you have been married before, you need to show proof that the marriage has ended such as Divorce Certificates. These can be shown anytime leading up to the wedding so don’t worry if you don’t have them ready when you hand over the NOIM. It’s your Celebrant’s responsibility to deliver a Ceremony that meets both yours and the legal requirements. If you don’t know what you want, your Celebrant can provide ideas and examples to assist you in choosing the type of ceremony you desire … a ceremony uniquely personal one, that celebrates your love and relationship. This is a form your Celebrant will prepare that says your name, occupation and where you live and that you declare that you believe that you are of marriageable age and that there is no legal impediment to your marriage. This document is generally signed at a meeting or rehearsal close to the wedding Ceremony. At the wedding your celebrant will conduct the wedding ceremony that you desire and ensure it fulfils the legal requirements. You will need a minimum of 2 people over 18 to act as witnesses in the signing of 3 Marriage Certificates towards the end of the Ceremony. After the wedding your Celebrant will send in the documents you have signed in the process to the registering authority in the State you are married in. In most States the Celebrant can assist you in submitting an application for the registered Marriage Certificate that can be used to prove you are married and to facilitate any name change. An additional fee is payable to the State-based registering authority.